I hate to say it, but summer is fleeting and soon we’ll be moving into a new school year when things often shift into high gear in our congregations as well. Your worship staff wishes you some restful and renewing time during these final weeks of summer. For many of us who were gathering together almost a month ago in Atlanta for “Called to Be a Living Voice,” the time, while perhaps not restful, was renewing and life-giving in many ways. One of the goals for this Worship Jubilee was to bring people from across this church, with widely diverse perspectives on worship, to worship, learn and network together. That is, to simply be the church. Maybe we really can be church together. Maybe it is time to put away the term “worship wars” forever and work collaboratively. Perhaps, labels such as “traditional” and “contemporary” will be less helpful as we move forward in our congregations to craft worship that is always grounded in the richness of the tradition, yet molded and shaped to speak to a particular context. We need to be honest. Those of us in Atlanta represent a small percentage of the congregations of this church. What we experienced was just a beginning. As Douglas John Hall was quoted in the “The Church’s Journey” on Wednesday evening, it is just “a beginning of a beginning of a beginning.” We look forward to exploring the copious notes taken during the small group conversations to help us shape our work of worship renewal over the coming years. But, it’s not just about the work your churchwide worship staff – three of us – will be doing. It’s about what we all can do together. We’re not yet sure where this journey is heading, but we do know that seismic shifts are happening in the church and that it’s much more fun to go for the ride together. Stay tuned for next steps. In the meantime, blessings to each of you as you continue to care for God’s people in your congregation who gather regularly around word and sacrament to be sent into the world to work for peace and justice. Have you noticed that this phrase – in these or similar words – appears regularly within the liturgies presented in Evangelical Lutheran Worship? What is the spirit and intention behind these words? And, if desired, where will these “similar words” come from? In January 2013, the ELCA worship staff and Augsburg Fortress gathered a diverse group of liturgists, theologians and musicians to consider the question of what “these similar words” might look like. What started as a room full of ideas on a four-day retreat can be found in this new publication. 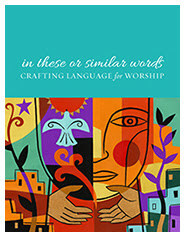 “In these or similar words: Crafting Language for Worship” will guide individuals and groups who wish to prepare new worship texts for their communities. Reproducible pages with practical tips and helps for the actual process of writing new texts. To view a sample and to order, visit the Augsburg Fortress Web Store. Are you planning a worship event in your congregation or synod? Share it with us for this newsletter! Due to publication schedule, items should be submitted a minimum of 10-12 weeks before the event. We love highlighting worship events from across this church in this newsletter. 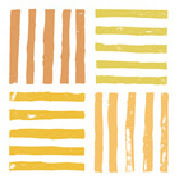 The online worship planner, sundaysandseasons.com, has served as a rich and reliable resource for worship planning since 2005. On July 27, 2015, the redesigned planning tool was released with some exciting changes while retaining its trusted features and content, featuring the breadth of the ELCA’s worship resources. Worship Videos, featuring worship videos and loops by The Work of the People. Also, subscribers to both sundaysandseasons.com Deluxe and Prelude Music Planner now have shared integration between both planning tools. The Preaching module is an all-new area available as an add-on for Deluxe subscribers and includes all content from the new Sundays and Seasons: Preaching resource, along with content from the respected New Proclamation series. Also included are selected Day Resources written by Gail Ramshaw for easy use in combination with the other Preaching content. Clip art that subscribers are used to using will now be accessed through the new Visuals module, including – for the first time – art from the Evangelical Lutheran Worship Graphics CD-ROM. Worship Videos, designed around the lectionary by The Work of the People, will be available as an add-on for Deluxe subscribers. The Work of the People produces visual prayers, visual poems and visual benedictions – interpretive and contemplative pieces – as well as looped visual imagery for worship that are useful in practical ways and in various settings. Prelude Music Planner is an online tool that makes planning music for worship easy and efficient, leaving you or your church musicians more time for making music. With new, enhanced integration between both planning tools, sundaysandseasons.com, Deluxe subscribers and Prelude subscribers can now edit worship plans within each program. As it has from the beginning, the Sunday and Seasons family of resources continues to support week-by-week planning for Lutherans with content and ideas shaped by the Revised Common Lectionary, the church year, and the assembly gathered around word and sacrament. Augsburg Fortress is committed to creating innovative, secure online resources dedicated to helping subscribers use sundaysandseasons.com effectively. To learn more about Sundays and Seasons online worship planner, visit sundaysandseasons.com. To learn more about Prelude Music Planner, visitpreludemusicplanner.org. New music from Augsburg Fortress has a new home! For more than a century, Augsburg Music has been serving congregations across North America and around the world with beautiful, enriching and deeply faithful music for worship. From adult choirs, large or small, to children’s choirs beginning their musical journey; from organ and piano to keyboard with instruments; from solo vocal to liturgical music, Augsburg Music offers top-drawer, accessible music for every congregation. Preview and order new music for fall, Advent and Christmas at AugsburgMusic.org. Music that Makes Community Inc. is a not-for-profit organization that connects a worldwide network of practitioners and leaders who share a practice of paperless song leading. They partner with hosts to produce conferences and workshops to teach, to practice and to create resources for making connections and building a repertoire of songs for paperless song leading. These conferences are perfect for anyone – pastors, lay leaders, choir directors, Sunday school teachers, organists and more – who seeks to find ways of engaging an assembly in song in a truly authentic way. No previous experience necessary! To learn more about upcoming events and see the growing number of resources on our newly redesigned site, go to www.musicthatmakescommunity.org. St. John’s Lutheran Church, Sacramento, Calif. Learn what it means to be a discipleship congregation.Pastors, musicians, seminarians and lay leaders are encouraged to attend this event offered by the North American Association for the Catechumenate. 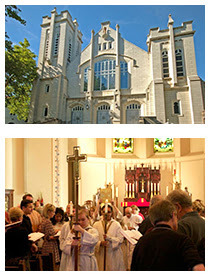 It is being co-hosted by St. John’s Lutheran Church, Trinity Cathedral and St. Martin’s Episcopal Church. A team composed of Episcopalians, Lutherans and Presbyterians will leadparticipants through an inspirational, practical, three-day training designed to introduce this ancient spiritual practice for youth and adults to their congregations. Congregational leaders already involved in the catechumenate process are also encouraged to attend and find new ways to enrich this journey of faith formation. For scholarships, contact our registrar, Devra Betts. You also may download a brochure or register online at the association’s website. Registration is now open for fall classes at The Center for Worship & Music Studies, a new kind of training program committed to supporting the full diversity of musical gifts in the church. Based in Minneapolis, both face-to-face and distance learning options are available. Students can work toward a Certificate in Worship & Music Leadership, or just take individual classes. Their five areas of study include Biblical and Theological Studies, Program and Administration, Skills Development, Repertoire Studies, and Technology. Visit the center’s website to learn more or to request a printed catalog. ELCA Worship is on Facebook.